It would be really cool to use the BEE editor on a mobile device. But... we're not there yet. Welcome back! Nice to see you again! The fastest, easiest email builder. Free. Perfect for freelancers, teams & agencies. This agreement (the “Agreement”) is entered into between MailUp, Inc. a Delaware corporation with offices located at c/o WeWork, 1111 Broadway, Suite 300, Oakland, CA 94607 (“MailUp”), acting for and on behalf of itself and each of its Affiliates, and the user (the “User”). MailUp and the User individually also the “Party”, and collectively, the “Parties”. The recitals, the exhibits and the external links to the Agreement constitute an integral and substantive part hereof. When used in this Agreement, the following terms in capital letters shall have the meaning stated in this section. means any person, corporation, or other legal entity that, directly or indirectly, controls, is controlled by, or is under common control with MailUp. For this purpose, “control” shall mean (i) possession, direct or indirect, of the power to direct or cause direction of the management and policies of a party, whether through voting securities, by contract or other means; and/or (ii) ownership, directly or indirectly, of more than fifty percent (50%) of the outstanding equity or voting shares of a party. means these terms and conditions. means any software, hardware or other technology, device or means, including any virus, worm, malware or other malicious computer code, the purpose or effect of which is to (a) permit unauthorized access to, or to destroy, disrupt, disable, distort, or otherwise harm or impede in any manner any (i) computer, software, firmware, hardware, system or network or (ii) any application or function of any of the foregoing or the security, integrity, confidentiality or use of any data Processed thereby, or (b) prevent the User from accessing or using the Software as intended by this Agreement. means all current and future worldwide copyright, patents, utility models industrial designs, trademarks, domain names, database right and other intellectual property rights, whether or not capable of registration, whether or not registered, and applications of any of the foregoing and all intellectual property rights whether now known or created in the future. An email testing feature included in the Software for the purpose of sending an email message to themselves or an email testing service to review the content or rendering of the message in different email programs. Subject to and conditioned on User’s compliance with the terms and conditions of this Agreement, MailUp shall use commercially reasonable efforts to provide to the User a limited, non-exclusive and non-transferable license to use the Software. MailUp shall have the right at any time to change or discontinue any aspect or feature of the Software, including, but not limited to, content, hours of availability, equipment needed for access or use, fees and charges for use. Nothing in this Agreement grants any right, title or interest in or to (including any license under) any Intellectual Property Rights in or relating to the Software, whether expressly, by implication, estoppel or otherwise. All right, title and interest in and to the Software are and will remain with MailUp and its licensors. Without limiting the generality of the foregoing provision, use of the Send Test feature for sending bulk or transactional email is prohibited. The Send Test feature is intended strictly and only for the purpose of sending a test message. Test sending is limited in the number of messages that can be sent at the same time and within a period of time (such limits may change). 5.1 Warranties by the User. It has the full power to enter into and fully perform this Agreement. User’s services, products, materials, contents of the messages, data, and information used by the User in connection with this Agreement and the Software will not operate in any manner that would violate any applicable law or regulation. In the event of any breach, or reasonably anticipated breach, of any of User’s warranties herein, in addition to any other remedies available at law or in equity, MailUp will have the right to immediately suspend the access and use of the Software, in MailUp’s sole discretion, if deemed reasonably necessary by MailUp to prevent any harm to MailUp or its business. it is has the full power and authority to enter into and fully perform this Agreement. it owns or controls all right, title, and interest in and to all Intellectual Property rights therein, necessary to carry out its obligations hereunder and to grant and assign any rights and licenses granted to the User herein. EXCEPT FOR THE FOREGOING, THE SOFTWARE IS PROVIDED ON AN “AS IS” BASIS, AND USER’S USE OF THE SOFTWARE IS AT ITS OWN RISK. MAILUP DOES NOT MAKE, AND HEREBY DISCLAIMS, ANY AND ALL OTHER EXPRESS OR IMPLIED WARRANTIES, INCLUDING, BUT NOT LIMITED TO, WARRANTIES OF MERCHANTABILITY, FITNESS FOR A PARTICULAR PURPOSE, NONINFRINGEMENT AND TITLE, AND ANY WARRANTIES ARISING FROM A COURSE OF DEALING, USAGE, OR TRADE PRACTICE. MAILUP DOES NOT WARRANT THAT THE SERVICES WILL BE UNINTERRUPTED, ERROR-FREE, OR COMPLETELY SECURE. WITHOUT LIMITING THE FOREGOING, MAILUP MAKES NO WARRANTY OF ANY KIND THAT THE SOFTWARE, OR ANY PRODUCTS OR RESULTS OF THE USE THEREOF, WILL MEET USER’S OR ANY OTHER PERSON’S REQUIREMENTS, ACHIEVE ANY INTENDED RESULT, BE COMPATIBLE OR WORK WITH ANY SOFTWARE, SYSTEM OR OTHER SERVICES EXCEPT IF AND TO THE EXTENT EXPRESSLY SET FORTH IN THE SPECIFICATIONS, OR BE SECURE, ACCURATE, COMPLETE, FREE OF HARMFUL CODE OR ERROR FREE. ALL THIRD-PARTY MATERIALS ARE PROVIDED “AS IS” AND ANY REPRESENTATION OR WARRANTY OF OR CONCERNING ANY THIRD PARTY MATERIALS IS STRICTLY BETWEEN USER AND THE THIRD-PARTY OWNER OR DISTRIBUTOR OF THE THIRD-PARTY MATERIALS. MailUp will not provide any service level agreements. MailUp will not provide any support to User, but online manuals and other documentation will be available at http://help.beefree.io. Furthermore, technical information is available on the online community at http://help.beefree.io/hc/communities/public/topics. All right, title and interest in and to the Software, including all Intellectual Property Rights therein, are and will remain with MailUp or MailUp licensor’s, as applicable. The User has no right, license or authorization with respect to any of the Software except as expressly set forth in Section 3. All other rights in and to the Software are expressly reserved by MailUp and its third-party licensors. 8. Consent to use User data. The User hereby accepts that MailUp is authorized to process and store for statistical, legal and quality analysis all data deriving from User’s use of the Software. The User authorizes MailUp to use such data in order to contribute to the effective improvement of the Software functioning and the production of statistical information that may be published by MailUp in aggregate form. MailUp, as owner of these aggregated data, will assure the full anonymization of the analysed data to avoid any processing and diffusion or communication of personal data of the User. MailUp reserves the right at all times to disclose any information as it deems necessary to satisfy any applicable law, regulation, legal process or governmental request. MailUp shall not (i) transfer or make available to third parties the contents of the messages and the addresses of the recipients of the messages sent by the User through the Software, whether in whole or in part, temporarily or permanently; (ii) use the same in any manner whatsoever except for statistical purposes and to improve the Software; (iii) keep a copy of the same, except the copy that is essential for the functioning of the Software and as permitted by applicable law. Upon the expiration of a twelve (12) month period from the date of mailing, MailUp may, but will not be required to, permanently erase all the recipient addresses and content stored on behalf of the User. The User recognizes that MailUp is always innovating and finding ways to improve the Software with new features and services. Therefore, the User agrees that the Software may change from time to time and no warranty, representation or other commitment is given in relation to the continuity of any functionality of the Software. MailUp may not be deemed in any way liable for the failure to perform this Agreement caused by factors falling outside its reasonable control (a “Force Majeure Event”) including by way of example and without any limitation, acts of God, uprisings, acts of terrorism and war, strikes, labor stoppages or slowdowns or other industrial disturbances, riots, tornadoes, hurricanes, floods, mudslides and landslides, fire, earthquake or explosion, embargoes or blockades in effect on or after the date of this Agreement, national or regional emergency, passage of law or any action taken by a governmental or public authority, or national or regional shortage of adequate power or telecommunications or transportation. This Agreement, including the external links which constitute an integral part hereof, abrogates and supersedes all previous agreements, understandings and negotiations, whether written or oral, between the Parties concerning the subject matter of this Agreement. No waiver by any Party of any of the provisions hereof shall be effective unless explicitly set forth in writing and signed by the party so waiving. No failure to exercise, or delay in exercising, any rights, remedy, power or privilege arising from this Agreement shall operate or be construed as a waiver thereof; nor shall any single or partial exercise of any right, remedy, power or privilege hereunder preclude any other or further exercise thereof or the exercise of any other right, remedy, power or privilege. If one or more of the clauses of this Agreement is declared null and void or unenforceable by the competent court of law, the remaining clauses of this Agreement shall continue to be valid and effective between the Parties, unless such clause constituted a determinant reason for the conclusion of this Agreement. The headings contained in this Agreement or in any exhibit or schedule hereto, or linked document, as applicable, are for reference purposes only and shall not affect in any way the meaning or interpretation of this Agreement. The Parties to this Agreement are independent contractors. There is no relationship of partnership, joint venture, employment, franchise, or agency between the Parties. Neither Party shall have the power to bind the other or incur obligations on the other’s behalf without the other’s prior written consent. This Agreement shall be governed by and construed in accordance with the internal laws of the State of California applicable to agreements made and to be performed entirely within such State, without regard to the conflicts of law principles of such State. Each party hereto irrevocably submits to the exclusive jurisdiction of (a) the Supreme Court of the State of California, San Francisco County, or (b) the United States District Court for the Northern District of California, for the purposes of any suit, action or other proceeding arising out of this Agreement or any transaction contemplated hereby or thereby. Each of Client and MailUp agrees to commence any such action, suit or proceeding either in the United States District Court for the Northern District of California or if such suit, action or other proceeding may not be brought in such court for jurisdictional reasons, in the Superior Court of the State of California, San Francisco County. Each of Client and MailUp further agrees that service of any process, summons, notice or documents by U.S. registered mail to such party’s respective address set forth above shall be effective service of process for any action, suit or proceeding in California with respect to any maters to which it has submitted to jurisdiction in this Section. Each of Client and MailUp irrevocably and unconditionally waives any objection to the laying of venue of any action, suit or proceeding arising out of this Agreement or the transactions contemplated hereby and thereby in (i) the Superior Court of the State of California, San Francisco County, or (ii) the United States District Court for the Northern District of California, and hereby and thereby further irrevocably and unconditionally waives and agrees not to plead or claim in any such court that any such action, suit or proceeding brought in any such court has been brought in an inconvenient forum. The prevailing party in any such litigation shall be entitled to reimbursement of reasonable attorneys’ fees and court costs. 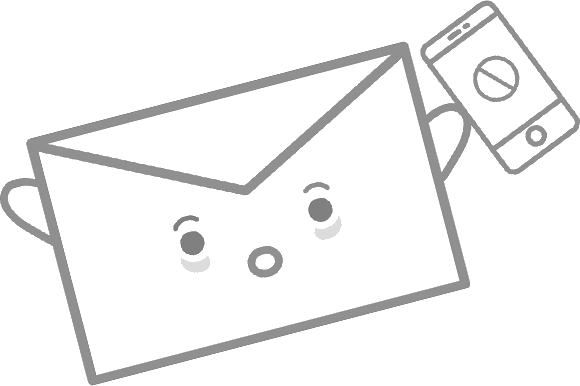 Get product updates & cool ideas from our email design blog.